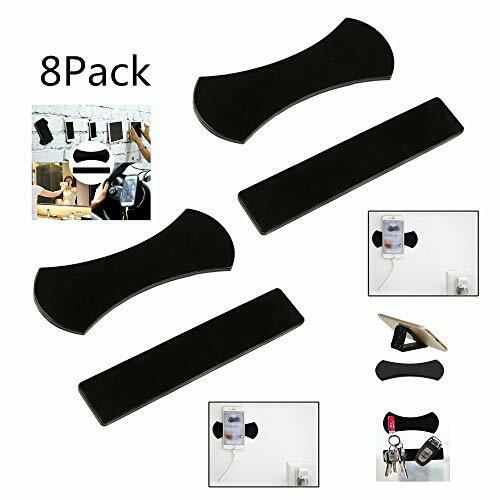 QQ Smart Digital Sticky Gel Pad,8 pcs Sticky Gel Pad,Powerful Strong Holder Stick Glue Anywhere Wall Sticker Anti Slip Washable Repeatedly Nano Rubber Pad for cell phone ipad GPS and more (8PCS) by QQ Smart Digital at Got Busted Mobile. MPN: 43307-6659. Hurry! Limited time offer. Offer valid only while supplies last. Sticky Gel Pad,8 pcs Sticky Gel Pad,Powerful Strong Holder Stick Glue Anywhere Wall Sticker Anti Slip Washable Nano Rubber Pad Washable Repeatedly. Sticky Gel Pad,8 pcs Sticky Gel Pad,Powerful Strong Holder Stick Glue Anywhere Wall Sticker Anti Slip Washable Nano Rubber Pad Washable Repeatedly. POWERFUL DRIVE: Strong adsorption ability, everything can stick,even when the surface is not flat.Without any vestige when remove it. WHAT YOU GEt: 8 pieces nano rubber pad, you can take it for family even travel. Note: You can buy some pairs/sets for your family or for More occasions(such as Bedroom, living room, car, office) ,so that you can avoid moving the silicone paster each time. Strong Adsorption :Strong adsorption,everything can stick,without any vestige when remove it. Cycling Used: Without any vestige when remove it. It can be cycling used after water cleaning. You don't need replace it at any time. If you have any questions about this product by QQ Smart Digital, contact us by completing and submitting the form below. If you are looking for a specif part number, please include it with your message.